ASK ABOUT THE PAYMENT PLAN OPTIONS for your magical vacation!! No better time to use this FREE concierge service to plan your next vacation ! specialize in the care that many of us need, and truly understand what its like to be overwhelmed and stressed. We are that special travel agency, ready to put the needs of our customers (friends) first and make your vacation stress free. ​of MAGIC in your life! ​Bookings from Value Resorts to Cruises we have you covered to ensure you get the best vacation for your budget. Our services are FREE. 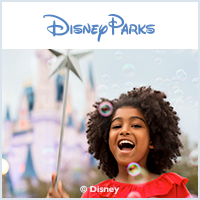 Agents with extensive knowledge of Disney Lodging, Disney Dining Plans, Advanced Dining Reservations, MyDisneyExperiance, Fastpass + Service, Disney Parks, Cruises and Itineraries. We will keep up with all the current discounts and rates to be sure that you get the best prices, even after booking your Magical Celebration Vacation. We are excited to be apart of such a magical time for you and your family and we take great pride in making sure that it is your best, most magical vacation. Please request a quote and we will get back typically within an hour but request up to 24 hours of receiving your request. ​Here to make your dream a reality. Please take a look at the Affiliate Vacation Gear page for​ any of your unique travel gear needs. Find us. Use our free service. Book it and celebrate the magic!